What are Building Whisperers? Those who adopt a sympathetic view of the motives, needs, and desires of the Building's relationship with its humanistic purpose based on rapidly evolving views and understandings. What is the process of creating or Building Whisperers? We need to clearly educated and inform our industry practitioners of the art of humanizing our building relationships. We all need to engage in the discussion of change while learning how to whisper building emotion. Those that well understand what I am talking about are younger, we all need to grow younger to understand. We all need to engage with their digitally raised thoughts to help us understand new ways of thinking and doing old things. The complete industry needs to grow younger while engaging in the discussion of digital disruption. It is happening and the only thing slowing and sometimes preventing the necessary radical change is our existing mindset and fear of the unknown. Yet daily we take giant leaps of faith towards digital transformation in our personal lives. This interview inspired our August theme as Nicolas identified himself as “The Building Whisperer” – Making buildings talk to people. He states, 'All the technology is here. It is just us people that need to start implementing." Nicolas has just agreed to join this evolving session of young open everything zealots in Building Emotion @ AHRExpo.com Atlanta “Next Generation HVAC Controls: Open Hardware – Open Software.” Evolving thoughts, like Voice and Text will become part of the new open standards when coupled with Underlying tagging, one API, and getting the data to and from the building in a standardized way. A discussion of (micro PCs) their potential for doing control or IoT. Mixing open standards together towards the goal of hardware agnostic controllers will be some of the evolving thoughts. This article provides the answer, The answer is voice. “It all comes down to one word: friction. People will rely on voice for more tasks throughout their day because voice removes friction. As the builders of tomorrow, I urge you to consider daily routines, from the memorable to the mundane, and those moments when you want to take action right now. Which tasks can you make faster, easier, and more delightful with voice? This article asks the question, Is our industry Building-IoT ready? How Amazon, Google, and Apple will change building automation for years to come. Give this a read scary but true. This article not on our website shows strong support for building emotion. Solving the Smart Building Problem We need to find a way to make an emotional connection between a building and its occupants. The way we construct the physical world around us, will change because of digital technology while not necessarily through digital technology. To help understand what we are talking about this analogy seems to describe both my unreal worlds of Building Emotion and Building Whisperers. Are we looking for the fourth wall? 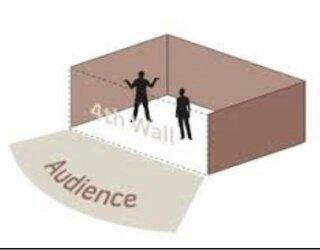 The fourth wall is the imaginary "wall" at the front of the stage in a traditional three-walled box set in a proscenium theatre, through which the audience sees the action in the world of the play. The idea of the fourth wall was made explicit by philosopher and critic Denis Diderot and spread in 19th-century theatre with the advent of theatrical realism, which extended the idea to the imaginary boundary between any fictional work and its audience. In my mind, the building is our fictional work....smile. Toby as always is deeper in thought Last month, in the July issue, Ken Sinclair called for smart buildings to spearhead an improved relationship between the physical, the virtual and the emotional world. Relationships go two ways. When we consider how buildings can manipulate our emotions, we also are considering how our emotions can manipulate buildings. Very pleased to be working with a group of less that forty-year-olds on a new education session for Atlanta “Next Generation HVAC Controls: Open Hardware – Open Software.” very interesting perspective on our future. Tired of reading? Give this a listen, Episode 274: ControlTalk NOW — Smart Buildings Videocast and PodCast for week ending July 15, 2018, features Ken Sinclair, owner and editor Automated Buildings, who shares some more of his amazing industry voyage (viewers and listeners will be richly rewarded). Siemens puts the pedal to the metal on its way to “Perfect Places” — adding Building Robotics and Comfy to its J2 Innovations and EnLightened acquisitions. How does one start in our industry and where will our feedstock come from to help us grow younger? This article helps define a path. As always this new issue is a nest of great articles, columns, reviews, new products, interviews and of course the steady stream of news depicting our rapidly evolution and journey to whispering building emotion. Please welcome our newest sponsor CatNet Systems - "The next generation embedded interface to BACnet, ModBus and LonWorks." Tell all our sponsors you saw their ads on the AutomatedBuildings.com web-site and thank them for supporting your free access to evolving Automated Building Industry information. Click on their ads and view their valuable products and services. Please review all Our Sponsors.